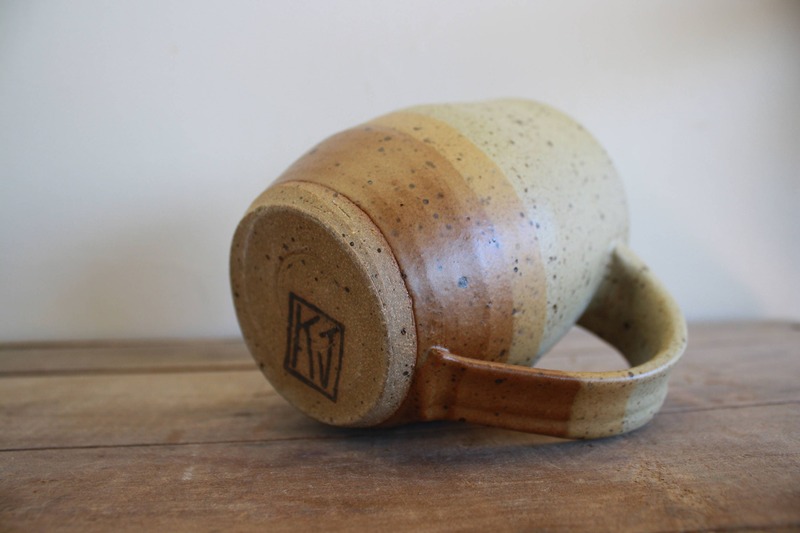 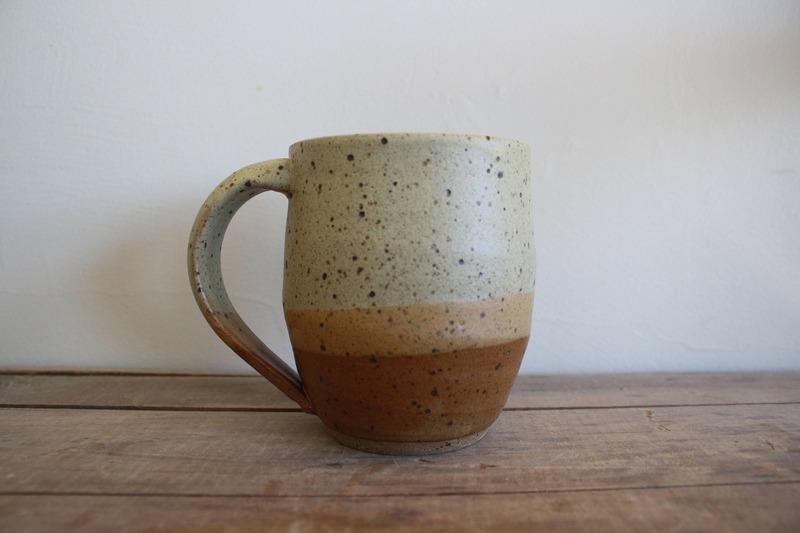 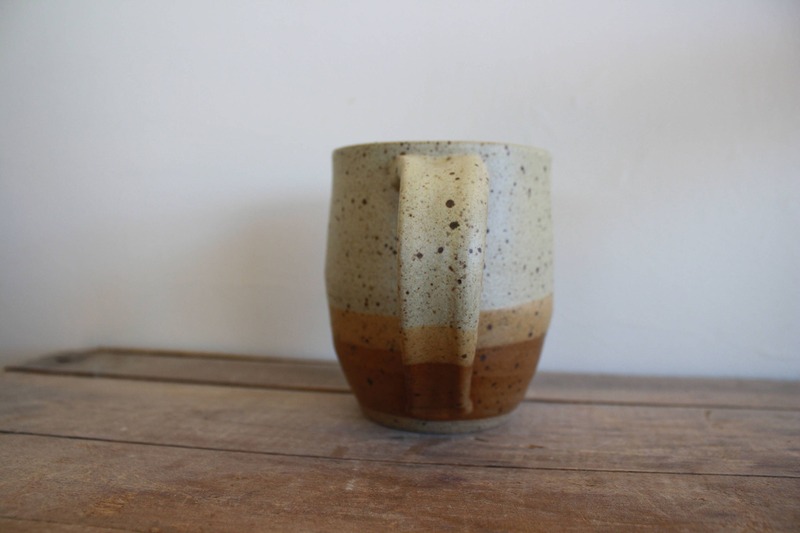 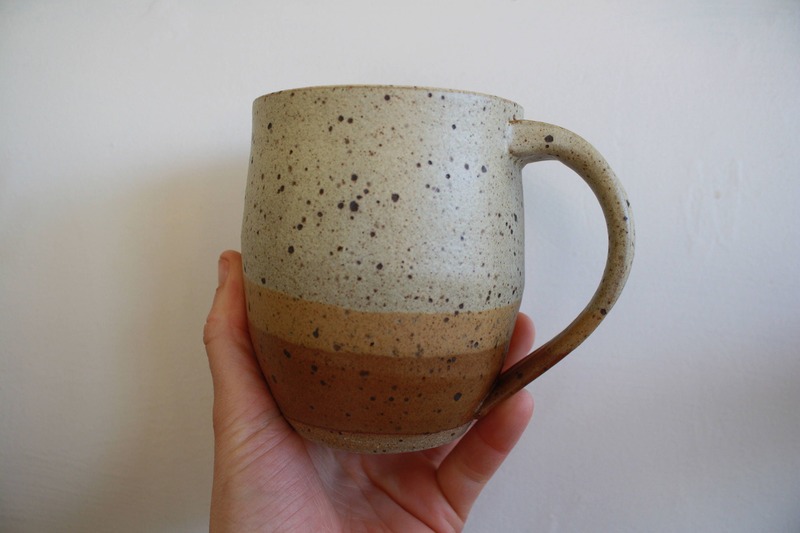 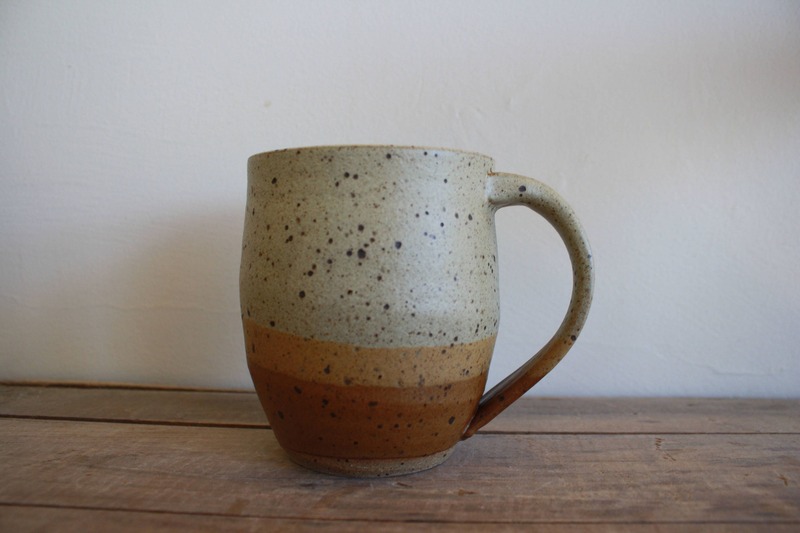 This earthenware mug is glazed in a simple speckled matte sand tan and brown. 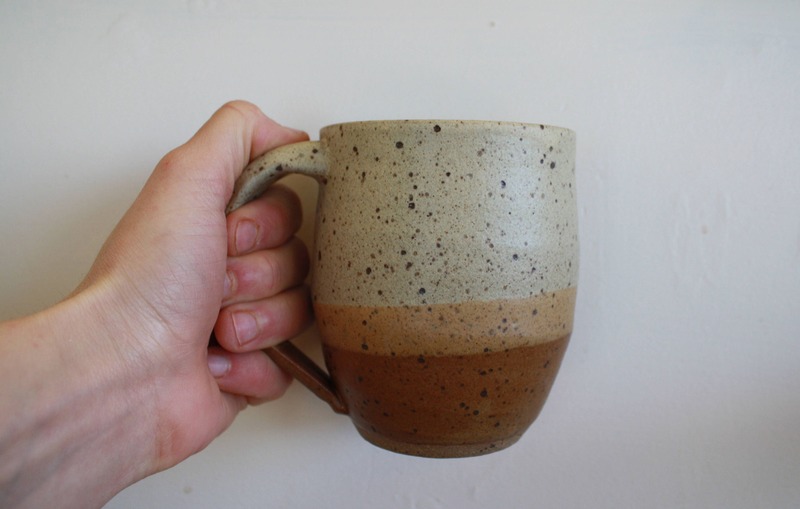 Mug holds approximately 14-16 oz. 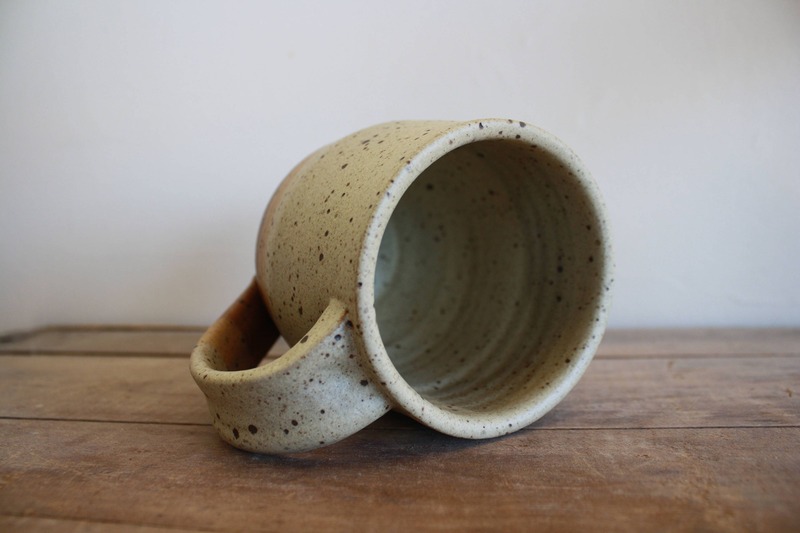 Thank you for your interest in handmade goods.